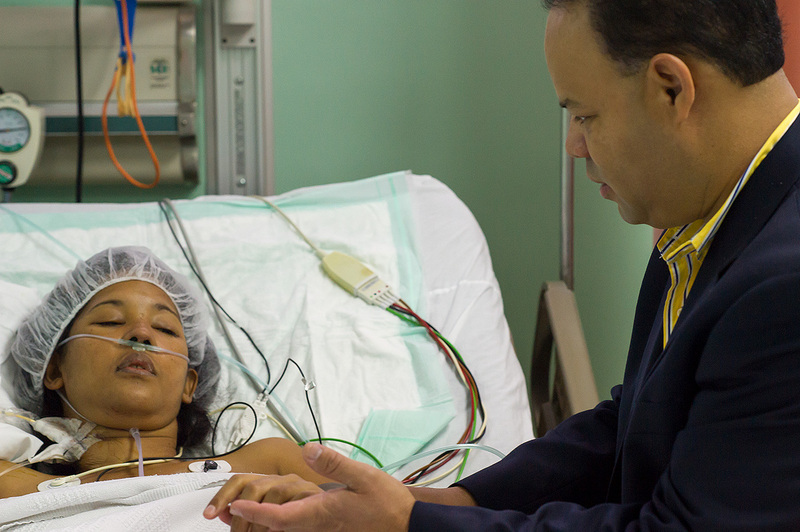 The Mitral Foundation has a long standing relationship with the medical community in the Dominican Republic. This has to lead to multiple medical missions, starting with two missions in July and September 2011, and continuing in March 2013, most recently in August 2017. This is a relationship that will help Dominican patients for years to come. Our work in the Dominican Republic has also included equipment and supply donation and organized medical conferences. View our photo gallery from our missions in Santo Domingo, Domincan Republic. In March 2013, the Mitral Foundation continued its work with Hospital General de la Plaza de la Salud in Santo Domingo, Dominican Republic. The Mitral Foundation and Mount Sinai team helped establish two operating room suites - creating a space that will continue to serve the Dominican Republic patient community for years to come. Please read the complete trip report, including pictures and video, on Adam Pick's Heart Valve Surgery Blog. Medical Mission Update #1: Dominican Republic Here We Come! Medical Mission Update #2 – How Is Dr. Ricardo Lazala Preparing Mount Sinai For The Mission? Medical Mission Update #3 – An Amazing Day in Santo Domingo!